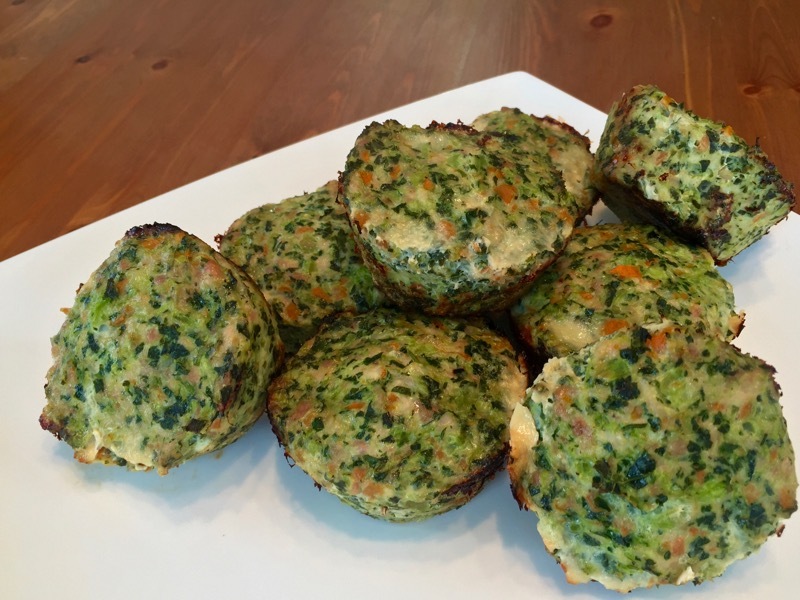 I may have decided to call these “meat muffins” but they have more vegetables than meat. Check out the nutrition info and they’ll become a staple in your eating arsenal. Besides, they taste like Christmas! Pulse kale, celery, carrot, onion and parsley in a food processor and pulse until finely chopped. Place a frying pan on medium heat. Add the olive oil. When the oil is hot, add the vegetable mixture. Sauté for five minutes. Remove from heat and let cool. In a bowl, use your hands to combine the turkey, egg, salt, pepper and vegetable mixture. Divide into eight and place into oiled muffin tins. Bake for 25 minutes. Remove from oven and serve warm.